A credit card is a great tool to help you finance purchases when you are unable to pay cash, get out of emergency situations, and leverage “OPM” (Other People’s Money) to increase your purchasing power. Credit cards also offer rewards programs which give you perks such as airline miles, discounted hotel and rental car rates, and even cash back on the purchases you make. You can receive these rewards even if you pay off your credit card in full every month, never carry a balance, and therefore never pay any interest to the credit card company. Many people use credit cards for no other reason than this. 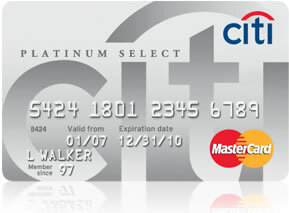 If you’ve never applied for a credit card before, one company to look into is Citibank (www.applynow.citicards.com). They have established a program which makes it simple to find the best credit card to fit your needs and qualifications and to apply for it quickly online. You must be a United States citizen or a permanent resident. Assuming you fit these three requirements, the next step is to determine which Citi credit card best fits your needs. They have many different niche cards available, such as cards for students, cards for small businesses, cards with small credit limits of $500 or under (great for those just starting out who want to build credit), cards with large limits for customers with more established credit, and even prepaid credit cards to help those with credit troubles begin to rebuild their credit. You can find the Citibank credit card that is best for you in a few easy steps on Citibank’s web site. First, visit Citibank’s applynow.citicards.com page and click on the link entitled “Find a Card By Feature.” From there, you can check off the types of cards in which you are interested, such as student cards, small business cards, prepaid cards, et cetera. The page that comes up next will be populated with numerous credit card options, based on your inputted selections, laid out in a side-by-side comparison. At this point, you can compare different Citibank credit cards based on credit limits, annual fees, approval difficulty, and several other metrics. One major factor in determining which cards you should apply for is your credit report and score. If you haven’t checked your credit in a while, it would be a good idea to do so before you begin applying for credit cards. This can be done for free using Annual Credit Report. You may find you have some small blemishes or erroneous information on your credit report which is bringing your score down. Often, these issues can be cleared up quickly and easily, raising your score substantially. Doing so may help you secure better rates and terms on your credit cards. Also, knowing your credit status allows you to be realistic in the application process and it keeps you from wasting your time applying for cards for which you probably will not be approved. When you’ve decided on the card you want, the application process is simple and it can all be done online. Each card will have an “Apply Now” button which you can click on to begin the process. From there, you simply fill out the information it asks for, including your household income, your employer, and your banking information. In some cases, an approval is granted instantly. In others, it takes up to 24-48 hours. Either way, once you are approved for your Citibank credit card, it will arrive in the mail within 14 days.